In the Wardak province of Afghanistan, nestled in the central east part of the country, a group of girls line up in formation for the school day to begin. Before them stands the Sheikh Yassin Girls School, a modest building but a beloved place for many of the girls who travel far to come here. For the young girls, it’s a new experience – the uniforms, library, computer lab – and not too long ago, this all would have been a dream for Afghanistan’s girls. The Sheikh Yassin School has become a reality because of Zakat Foundation of America’s (ZF) belief that every child in the world deserves an education. 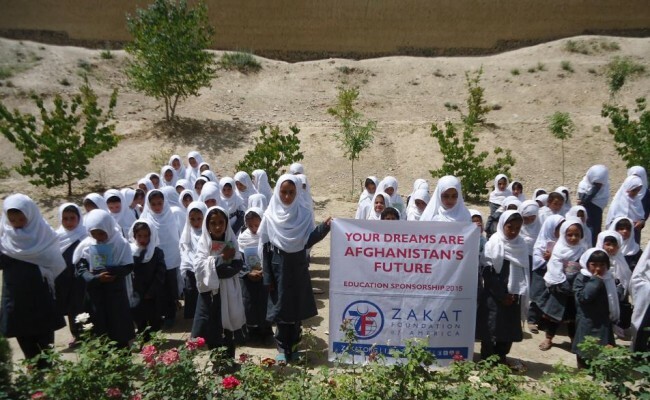 Sheikh Yassin received a grant from ZF to continue promoting education for Afghanistan’s youth, especially its girls. It first opened its doors in 2005 and currently serves 187 students (grades 4 through 9) from 12 neighboring villages. The Wardak province is made up of seven districts, but only a few of these districts offer a public school for girls..
“I personally am really happy and thankful of ZF for supporting the more needy and poor students in Afghanistan,” said Mohammad Ilias Barikzai, a program director working on education initiatives across Afghanistan. At the height of political instability during the 90s, fewer than one million children were attending school in Afghanistan. Only 3% of the girls in the country were receiving an education because of constant threats and attacks against institutions that served girls. Today, things are slowly but surely changing. Now, 36% of females in Afghanistan are attending school but women’s literacy remains one of the lowest in the world – only at 14%. 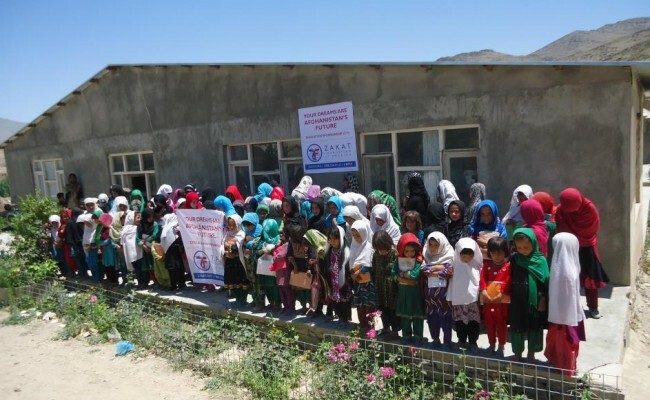 Many grassroots organizations are also doing their part to help the next generation of Afghans. One of these is Afghans4Tomorrow (A4T), a registered nonprofit dedicated to the development and capacity building of the Afghan people. In recent years, ZF has been working with Afghans4Tomorrow on several educational programs – Sheikh Yassin being one of them. “I hope to be the best doctor in Afghanistan to support the poor Afghans,” wrote Patony Sultan Jan, a 9th grader. Patony wishes to pursue higher education at the college or university level, however, there are none in her native province. The opportunities are limited after 9th grade, as only the girls from affluent families are able to afford going to universities in Kabul. Ilias says that are certainly future plans to building more schools such as Sheikh Yassin, especially in the insecure areas of the country. He believes these learning centers will be the key for peace and development in Afghanistan. However, this cannot be possible without the support of donors such as yourselves. ZF believes education is a universal human right and that every child around the world deserves to go to school. By the help of God and our donors, ZF will carry on this mission to support institutions such as Sheikh Yassin.